Fathers with toddler daughters are more attentive and responsive to those daughters’ needs than fathers with toddler sons are to the needs of those sons, according to brain scans and recordings of the parents’ daily interactions with their kids. Fathers of toddlers also sang more often to their daughters and spoke more openly about emotions, including sadness, possibly because they are more accepting of girls’ feelings than boys’, according to the study, published in the American Psychological Association’s journal Behavioral Neuroscience. Fathers of sons engaged in more rough-and-tumble play and used more achievement-related language (e.g., words such as proud, win and top) when talking to their sons. Fathers of daughters used more analytical language (e.g., words such as all, below and much), which has been linked to future academic success. The research examined whether the varying ways in which fathers treat sons or daughters may be influenced by different brain responses to male or female children. The study couldn’t determine if those different brain responses meant fathers are somehow hard wired through genetics or evolution to treat sons differently than they treat daughters or if the fathers were conforming to societal norms relating to gender. Studies about parenting often are biased in the lab because participants give answers that they think are expected of them or are not aware of their own behavior. The researchers, from Emory University and the University of Arizona, avoided that problem by taking their study out of the lab and into the real world. The study used data from 52 fathers of toddlers (30 girls, 22 boys) in the Atlanta area who agreed to clip a small handheld computer onto their belts and wear it for one weekday and one weekend day. The device randomly turned on for 50 seconds every nine minutes to record any sound during the 48-hour period. Some of the fathers in the study had more than one child, but the study focused only on their interactions with one son or daughter. The fathers also were told to leave the device charging in their child’s room at night so any nighttime interactions with their children could be recorded, said Mascaro, an assistant professor in Family and Preventative Medicine at the Emory School of Medicine. Fathers also underwent functional MRI brain scans while viewing photos of an unknown adult, an unknown child, and their own child with happy, sad or neutral facial expressions. Fathers of daughters had greater responses to their daughters’ happy facial expressions in areas of the brain important for visual processing, reward, emotion regulation, and face processing than fathers of sons. In a finding that the researchers hadn’t predicted, the brains of the fathers of boys responded more robustly to their sons’ neutral facial expressions, possibly because fathers are responding to the more ambiguous emotional displays of their sons. There was no significant difference in the fathers’ brain responses to sad facial expressions from sons or daughters. In daily interactions, fathers of daughters used more language referencing the child’s body (e.g., words such as belly, foot and tummy) relative to fathers of sons. Previous research has shown that pre-adolescent girls are more likely than boys to report body dissatisfaction and lower self-esteem relating to body image. The study focused on fathers because there is less research about fathers’ roles in rearing young children than mothers, Mascaro said. The study couldn’t make any definitive long-term connections between the varying treatment of sons or daughters as toddlers and future outcomes for those children, but the research explored some possible links that may offer some recommendations for fathers. Since the research was conducted in the United States, the study also couldn’t draw any conclusions about fathers in other cultures with different societal norms for fathers. If fathers are more present and attentive to daughters and open to expressing emotions, that may help girls develop more empathy than boys, so fathers of sons could take the same approach as fathers of daughters, Mascaro said. “The fact that fathers may actually be less attentive to the emotional needs of boys, perhaps despite their best intentions, is important to recognize,” she said. Other research has found that restricted emotions in adult men is linked to depression, decreased social intimacy, marital dissatisfaction and a lower likelihood of seeking mental health treatment. Previous research also has shown that rough-and-tumble play by parents can help young children better regulate their emotions. 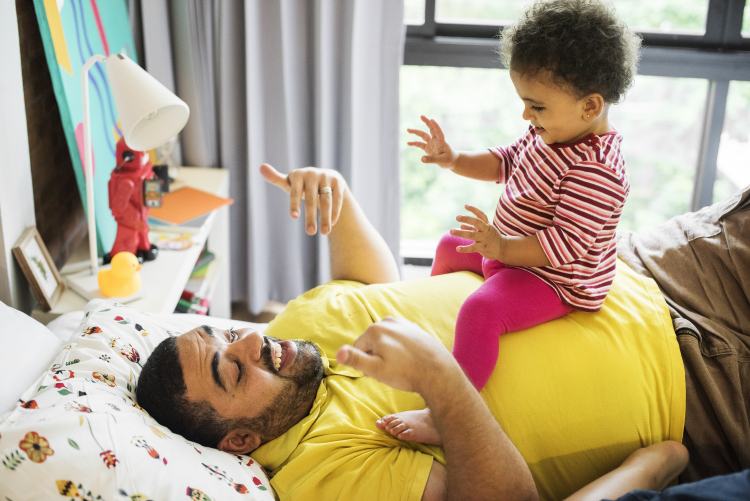 Fathers of daughters may want to engage in more rough-and-tumble play with girls, even though such play is more often associated with boys, Mascaro said. 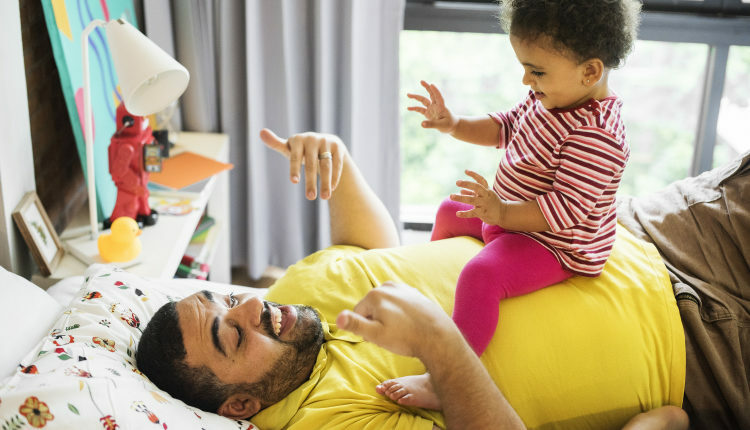 “Most dads are trying to do the best they can and do all the things they can to help their kids succeed, but it’s important to understand how their interactions with their children might be subtly biased based on gender,” Mascaro said. Article: “Child Gender Influences Paternal Behavior, Language, and Brain Function,” Jennifer S. Mascaro, PhD, Patrick D. Hackett, BS, and James K. Rilling, PhD, Emory University; Kelly E. Rentscher, PhD, and Matthias R. Mehl, PhD, University of Arizona; Behavioral Neuroscience, published May 22, 2017. Contact: Jennifer S. Mascaro at [email protected] or (404) 727-4301. The American Psychological Association, in Washington, D.C., is the largest scientific and professional organization representing psychology in the United States. APA’s membership includes nearly 115,700 researchers, educators, clinicians, consultants and students. Through its divisions in 54 subfields of psychology and affiliations with 60 state, territorial and Canadian provincial associations, APA works to advance the creation, communication and application of psychological knowledge to benefit society and improve people’s lives. If you do not want to receive APA news releases, please let us know at [email protected] or 202-336-5700.